At Frontline Pest Management - Pest Control Caboolture, our technicians are fully qualified and have an in-depth knowledge of the latest treatments and techniques, providing a professional and friendly service. At Frontline Pest Management - Pest Control Caboolture we know your home is your most valuable asset and so combine environmentally friendly and highly effective pest control solutions with a qualified and welcoming service and you have Frontline Pest Management - Pest Control Caboolture. Frontline Pest Management - Pest Control Caboolture is a locally owned and operated business servicing Brisbane’s northern suburbs. Frontline Pest Management - Pest Control Caboolture offer a wide array of pest control solutions for residential and commercial clients and specialize in termite eradication and termite prevention. Businesses of all sizes depend on Frontline Pest Management - Pest Control Caboolture to provide solutions to their particular pest problems. Frontline Pest Management - Pest Control Caboolture are here to help in order to protect your business and reputation. 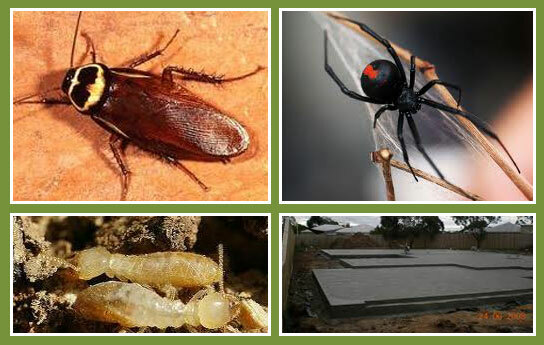 All quotes at Frontline Pest Management - Pest Control Caboolture are provided free of charge. Likewise, if you have any queries or concerns, we are more than willing to take the time to discuss these with you. Our pest management technicians are fully qualified and licensed with Queensland Health to conduct termite inspections and termite eradications – license # PMT – 012816. Frontline Pest Management are QBSA licensed (#1113413) and have Professional Indemnity Insurance and Public Liability Insurance.